The UK's British Airways has long held the crown as the most prolific non-US airline to transverse the Atlantic to the New York region. However, as Bob Dylan might says, those times are a changing! According to the latest figures from Port Authority of New York and New Jersey show that the leading low-cost airline, Norwegian carried 1.67 million international passengers to and from three of New York City’s airports, surpassing British Airways, which carried 1.63 million people. A bullish British Airways spokesperson dismissed the latest figures, "We fly up to 70 times a week from all three of our London airports. Our commitment to New York is as strong as ever." Which is no surprise as the Heathrow - New York JFK routes is the airlines most profitable, raking in around £18,500 per hour and about 6% of the carriers yearly revenue. However, a large slice of the passenger pie is going to the leading low-cost long-haul airline, Norwegian which has seen passenger number to and from New York City continue to increase. Norwegian has now also overtaken Lufthansa and Emirates to reach the top spot in July. Norwegian operates 16 routes from three airports in the New York City area – John F. Kennedy International Airport, Newark Liberty International and Stewart International Airport to: Amsterdam; Barcelona; Belfast; Bergen; Copenhagen; Dublin; Edinburgh; Guadeloupe; London; Madrid; Martinique; Oslo; Paris; Rome; Shannon; and Stockholm. Norwegian launched its first route to New York on 30th May 2013 from Oslo and Stockholm on 31st May 2013. 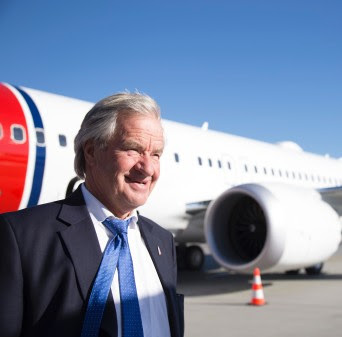 Bjørn Kjos, Norwegian CEO and Founder, said: ““Passenger numbers by the NY/NJ Port Authority further endorses the strong demand for lower fares on lucrative transatlantic routes as we flew more customers to and from New York than any other international airline in the 12 months to July 2018. “Fares have been too high for too long as transatlantic routes have been long dominated by carriers with outdated legacies running on fumes. 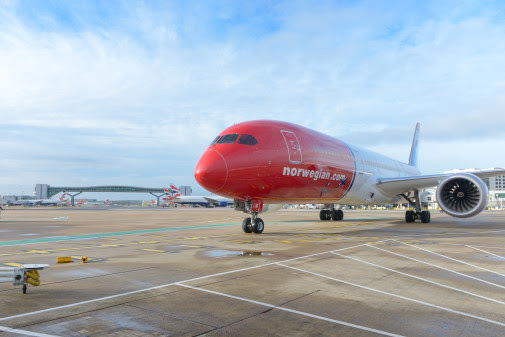 “In 12 months, 1.67 million customers benefited from the fantastic value we offer and Norwegian will continue to spread its wings to the Big Apple with a third-daily service between London and New York JFK from 28 October. Whether travelling for business or leisure, in addition to a spacious Economy cabin, our Premium passengers travelling to New York can enjoy an enhanced service and extra comfort at greater value when flying long-haul. 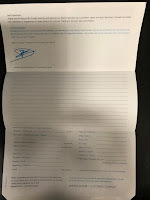 Premium passengers can check in two 20kg bags, benefit from fast track security, relax in the No1 lounge and have priority boarding. Premium passengers are welcomed on board with complementary soft drinks, enjoy a spacious leather reclining seats with over a metre of legroom with a Premium meal service and unlimited beverages.